Healthy Lifestyle, TV / Technology 625 Comments on Electricity Cut – Oh no, NO Technology! This week, with plenty of warning, our whole suburb had the electricity cut for the entire day. For weeks now, during our daily dog walk, I have been noticing the new wooden electrical poles laying next to the very slanted and wonky ones on the semi-main road in my suburb. I absolutely love cranes and big building equipment, so I was looking forward to this day of work taking place just near my house. I was just a bit excited! As I knew the power was going to be cut, I made sure that I had not planned anything on that day that needed me to use electricity. I made sure we had had our warm showers the night before, that mobile phones were charged, that my car was on the other side of the remote control garage door and that the fridge was stocked with food/meals that did not need to be heated up. Luckily it was a cool day so none of our food in the fridge (or us without fans and air conditioners) perished. This one day made me reflect on a lot. I realised that we do not appreciate just how much we need and use electricity when it is in rich supply. How much we actually take it for granted. For example, when I go to turn on a lamp or light, work on my computer, use the Internet (yes, I still have ADSL), fill a bath with hot water, heat food up in the microwave, cook a meal on the stove or in the oven, speak on my phone, sit in a cool air-conditioned room, turn a fan on, notice my daughter on her iPad, watch TV or just look at the digital clock on the cooker… do I actually appreciate the ease and gift electricity offers all of us and supports us with in our daily lives? And then I ask – how much do we use electricity for what we need it for and how much do we completely misuse it and overuse it excessively to check-out in life? Lots came up to notice and I also got to appreciate (apart from how lovingly organised I am) how my family and I now live together in the world today, just from having the electricity cut for one day. On this day my daughter and I had a lovely day and in a sense, it wasn’t too difficult for us because for a while now our family watches TV rarely, we are on computers to do purposeful work and my daughter has a 15 minute iPad limit for games each day. So the difficulty of not having the technology as a distraction or gap filler was not there for us as such and this was amazing in itself to appreciate. We as a family are quite comfortable now to hang out, chat, do little projects together and interact without the distraction or noise of technology in the background. However, after talking to a few people, including kids, it was interesting to feel how much we as a society have come to rely on the distraction of technology. And a part of me already knew this as I once informally surveyed groups of 5-6 year old children, asking how many of them had either TV, iPad, x-box etc in their bedrooms, and more than 60% of them put their hands up. So I knew there was a reliance on technology and that it is often used as a babysitting tool. But then, when there is a reliance on something, what happens when it is taken away? We are of course left to feel how much we rely on it. So how did people cope and what did they do on our no electricity day? Some people needed to take their kids out of the house completely to do an outdoor activity while others who stayed home felt the loss of the distraction and false safety that their gadgets provided. 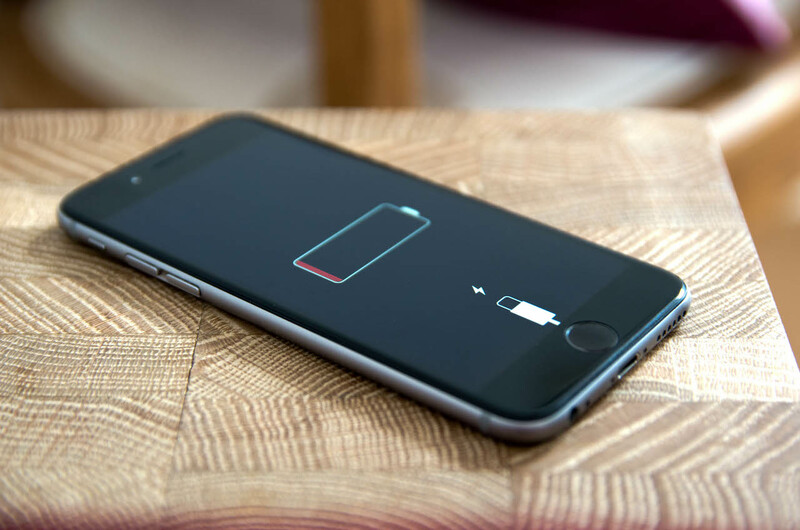 One pre-teen in particular shared that they felt a loss, almost like a friend or family member had gone and there was also an anxious feeling, not being able to access the uncharged phone. This sharing was quite a huge one and an indictment of our society and of where our young are at today and what part we, all of us as adults, have played in this ‘reliant on technology’ era that our young are growing up in. So what exactly did my daughter and I do on this day and more importantly, what magic did I get to witness simply because there was no technology around? First we took our dogs for a walk together, practising our new training methods, which are working a treat. Our walk went around quite a bit of our suburb so I got to witness the activity in the ‘hood’. I got to walk past the amazing work the electrical people were doing and see the fabulous cranes and other gadgets they used. It really is amazing to see and appreciate the teamwork that takes place on such a vast project from the men who keep the pedestrians safe, the ones who guide the traffic, to the groups of people communicating and working together to take down and replace these huge wooden poles, making sure all the wires are dealt with correctly and everyone is safe. When we came home we had a bite to eat together and chatted for a bit. We got ready for the day. Then we did a little project together. We painted a little wooden dove mobile that my daughter got for Christmas. We designed detailed patterns and she directed me to how she would like it to look – what colours and designs to use. I got to work side by side with my daughter while I listened to her humming along beautifully. I got to listen to her cute stories and appreciate her lovely way of communicating. I love the detail in her words and it is so great to feel a child comfortable and fully expressing themselves. There were moments with a feeling of pure stillness, even though we were working and moving… many magical moments to appreciate. Then we chilled for a while, we had lunch, I had a little nap while she cleaned out her bedroom drawers and rearranged a few things. So all in all, a fabulous day that she said was only a little bit hard without electricity and technology. How much are we really missing out on because of our overuse and excessiveness in technology? How many moments with our children do we let slip through our fingertips and most importantly, what kind of future adults are we creating when some kids can already say they feel anxious without their phone or don’t know what to do if they can’t access their games? Love it! Taking it back to basics! Life is so much more fun with face to face connections. Whenever my children have a break from technology they go back to playing the old fashioned way. They then feel brighter and more themselves but more than this – way more joyful in having connected to themselves during the play. There are so many things in life we don’t even realise we have become overly dependent on until we have a situation that whips away the crutch long enough for us to feel it. They may be inconvenient and we may hate them, but these moments can be wonderful opportunities for getting a reality check, see what is beneath our dependency and choosing differently. Technology has come to be such a major and at times dominating factor in modern life, and I often marvel at how incredible it is, but not only that, but the fact of the teams of people and huge production lines that create it all. I think it’s great how you’re really appreciating all that electricity enables you to do and at the same time appreciating in what quality you’re using it. There is something very beautiful about this article – how it inspires to have appreciation for the finer details of life, such as the fact of electricity in our homes. We had one of those scheduled days recently and, lo and behold, it rained on that morning so the electricity cut was postponed at the last moment and we had to go through it a short time later! There are ways to work during blackouts – laptops for example but it shows how much we are dependent on our utilities. When all the electronic means of communication are unavailable we are offered the opportunity to connect and talk face to face with others. It feels very freeing to have a forced no go on anything electronic and a beautiful opportunity to come together with friends, family and connect. My siblings and I used to love power cuts as a child as it was so much fun to have candles, flashlights, play board games and get more attention from our parents. Then the lights would suddenly come on, and the relief on my parents’ faces was apparent for all to see, and this was because they missed watching the television. Power cuts were a rare occurrence but they gave the family a stop and a chance to be with each other in a different way. This sounds very familiar. The relief in having to spend time connecting to our family when the myriad of distractions are taken away. Great blog Johanna, it reminds me of a time in the seventies when my children were growing up, and we decided not to have TV, it was great, as a family we learnt to play together and work together, we very much enjoyed the projects the kids were involved in. It really is incredibly fresh and to have the opportunity build slightly not to have that constant hum of electricity pulsing through everything in our house. My workplace is notorious for blackouts and poor internet connection and yet I continue to be surprised when the space is created for people to connect, albeit imposed, how much information is shared which allows things to be done more effortlessly. An example that we all can take home with us.. the urgency of seeing what distraction of technology is actually doing with us. For it keeps us at times further away from each other than we potentially can imagine. You can feel the harmony in your family from just reading your blog .. that its a truth. I love the fact that your ‘daughter has a 15 minute iPad limit for games each day.’ I feel this is how it should be, currently technology (aka social media) is predominately bringing up our children which is shocking and because of this I wonder how the future is going to be with this happening. I am noticing more and more with the young people I work with how unsettled they are and how their concentration time is really short. Maybe globally we should have a limited use of electricity this would 1. make us appreciate it more and prepare for the day differently and 2. Maybe improve our relationships? But it is sad state when we are looking at taking electricity away to improve our relationships!! I love the space that was offered to you by the power cut and lack of available technology. It really shows how much we use technology to avoid connection with ourselves and each other. So much so we freak out when it is not available! “I realised that we do not appreciate just how much we need and use electricity when it is in rich supply. How much we actually take it for granted.” Electricity is a form of energy that has been developed in replica to the energy that is passing through us all the time so when we take it for granted and are unaware of how we choose energy to be distracted we are missing out on understanding the power and force of the choice of energy. I have a real love-hate relationship with technology – I love that it has helped to connect me with others around the world on one level, but I definitely feel better when I stay away from it, and know that nothing is greater than my own innate inner connection with loved ones and nothing can negate that unless I let it. I like to combine the two – technology and connecting. Technology can be very interfering and disturbing, but then so can my own thoughts be. It is easy to get caught up in keep up with the constantly changing technology and the platforms that are available for us to communicate through. However, at the foundation of all our relationships be it with each other and technology itself, the quality of our connection to who we are is what directs the quality of connection we have with everything else, and whether it is a need to escape or a willingness to connect with the purpose to explore and deepen our relationship with being who we are. Technology over Togetherness I know which one I would choose that would last far longer than a fleeting screen. We have recently been through a period of no power and phone due to a storm, and it really exposed our lack of preparation for this eventuality. As we are in the country and on tank water we also had no water out of the taps and no flushing toilets. After the initial what do we do now, it was a gradual organisation as to what we could or could not do, which was done with the growing appreciation of all the services we tend to take for granted – until they are not there. I actually began to enjoy the time without power and when it came on while the house was glowing from all the beautiful candle light I was almost disappointed. There is a simplicity to life without technology. Without technology a space is created to re-connect to others in a truer, more present way. Perhaps we could learn to live with our technology, taking the best of what it has to offer, whist relating to each other in a deeper way that we naturally have without it? We all long to be connected to which is why we love our smart phones but what is the quality of connection that we are receiving? It is the quality of the connected that matters. Wouldn’t be awesome if the whole world had a power cut and that everyone had no choice but to stop their activity on which every platform they choose and actually stand on a true platform of being here together on earth, as brothers and connect to each other as a priority not something that can be occasionally connected to. The way we use technology is so disciplined. But not in a true way. We religiously turn to devices to help us escape with consistent regularity. We are dedicated and persistent. If only we see this then we can understand that it’s not about devices but energy we let in that wants us to withdraw and run away. Thank you Johanna. If not having a phone or technology gadget feels like a close one passing, it is great learning for our younger generation to be aware of truly appreciating the connections and relations in their lives. As when technology is used in disregard to the people in our lives then truly it is no different if they have passed, or if we have passed. Great point Adele as the distraction of technology certainly encourages us to dismiss the deeper level of life and our connection to it, that is very much alive and very real. This is such a common occurrence now we don’t bat an eyelid. The irony is that we are using technology to seek connection, yet it is making this harder to do. There is a demand for all our distractions. We won’t change if we are not willing to connect to our bodies and actually feel what there is to feel. All the hurt that are there won’t disappear all of a sudden, but with honesty and people that you can trust and reflect that there is another way you can make a start. We do want our distractions – and what a cost we have to pay, as you point out – with honesty there is another way through.